5 ingredient nut-free granola – ready in 5 minutes! 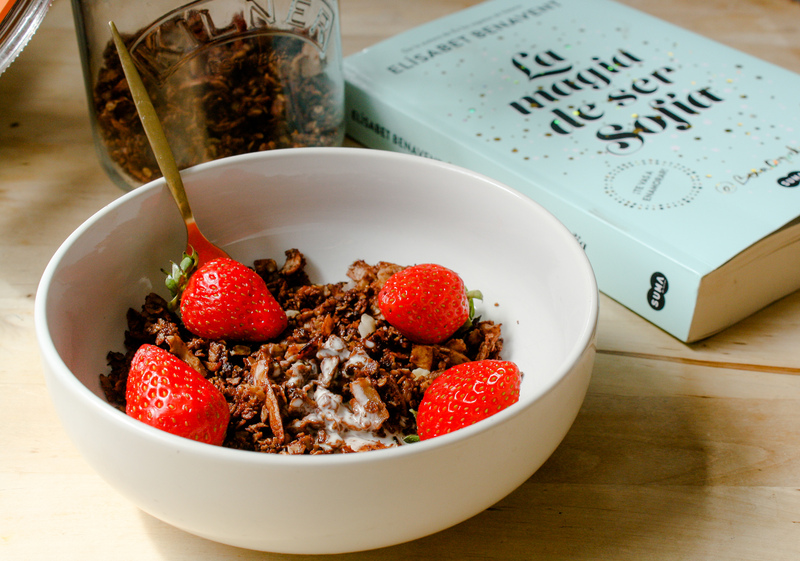 Take a look at how easy it is to make a quick yet delicious granola even when you are running out of time or don’t have that many ingredients left in your cupboard. You can even add your own additions to this granola recipe like coconut flakes if you want to add an extra pop of texture and flavour. Take off the heat and transfer into a bowl or a jar. If you like your granola to be crunchy, let it cool for a few minutes before serving. Add any topping of your choice if desired.